You have the perfect piece of land and now all you need is the perfect home to go on it! 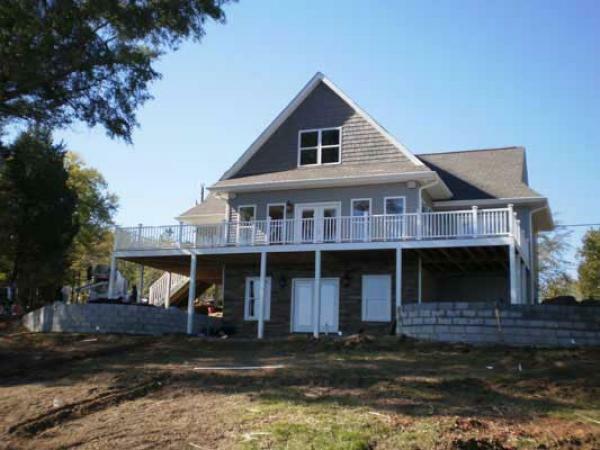 Carolina Design Builders specializes in designing and building custom homes for clients with an eye for quality. As a premier home builder in the Charlotte, NC area, we build everything above industry standards and adhere to detailed specifications. Our customers appreciate our quality service and construction. The second part of this article focuses on energy. Most people immediately think solar and then think "I can't afford it!" but there is much more that can be done to improve the efficiency of the energy usage in your home. - Use as much untreated materials as possible. Most treated materials use very harsh chemicals which contain volatile organic compounds (VOC's) and formaldehyde. Over time, these compounds break down and become part of your indoor breathing space. - These VOC's can also be found in conventional paints and finishes. Always ask your supplier for brands which use little or no VOC's in their products. CAROLINA DESIGN BUILDERS IS READY TO BUILD YOUR HOUSE. CALL (803)329-3044 TO DISCUSS YOUR PROJECT TODAY!